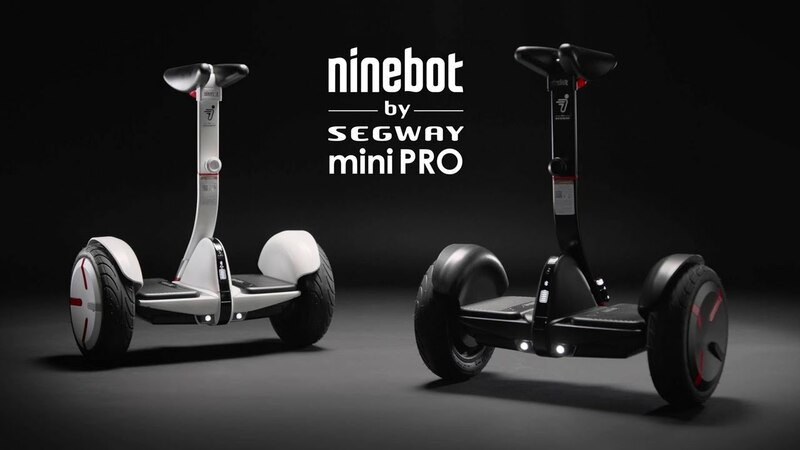 The Segway miniPRO is the latest Self Balancing Transporter Powered by Ninebot technology and it’s built to easily maneuver over various indoor and outdoor terrains. This Self Balancing Transporter features precision-sensors and an innovative knee control bar that will allow you to easily maneuver it while the integrated 800-watt dual motor is engineered to overcome humps, slopes and adapt to Road Obstacles without sacrificing safety and stability. On the other hand, this Self Balancing Transporter features automatic headlights with customizable LED-taillights while a strict safety-test ensures that you remain safe while riding this transporter during day or night and under different weather-conditions. Additionally, this transporter offers Mobile-App Control which enables you to lock the miniPRO, adjust light-colors, modify safety-features, upgrade-firmware, run vehicle-diagnostics and to remotely command your miniPRO to move. Likewise, the miniPRO transporter features a padded knee control bar and an adjustable height that allows riders of all shapes and sizes to maneuver the electric scooter comfortably while the top speeds of up-to 10 miles per hour allow this transporter to travel distances of up-to 12.5 miles on a single charge. Lastly, the miniPRO transporter is very easy to carry and store in a car trunk because its knee control bar can be quickly detached to make the scooter fit into any small spaces in a pinch. It’s a Smart Self Balancing Transporter. It can support a maximum-weight of 220 lbs. It features a top-speed of 10 Mile-Per-Hour. A max-distance of 12.5 miles on a single charge. UL2272 Certified (US safety qualified standard). Remote control via Bluetooth using a Mobile-App. Made of durable aircraft-grade magnesium alloy frame. Built to maneuver over various indoor & outdoor terrains. Its lightweight and portable easy storage & transportation. Precision sensors & knee control bar for better maneuvering. It features automatic headlights with customizable LED-taillights. A powerful 800-watt dual motor designed to overcome every obstacle. Goes through a strict safety test to ensure optimum-safety while riding. It features a padded knee control bar & adjustable height extra-comfort. The EverCross Hoverboard Phantom is a Self Balancing Scooter and Hoverboard equipped with a new high-quality intelligent electronic balance control chip that facilitates for free-control, intelligent security computing, intelligent balance protection, alarm system control and security-control. 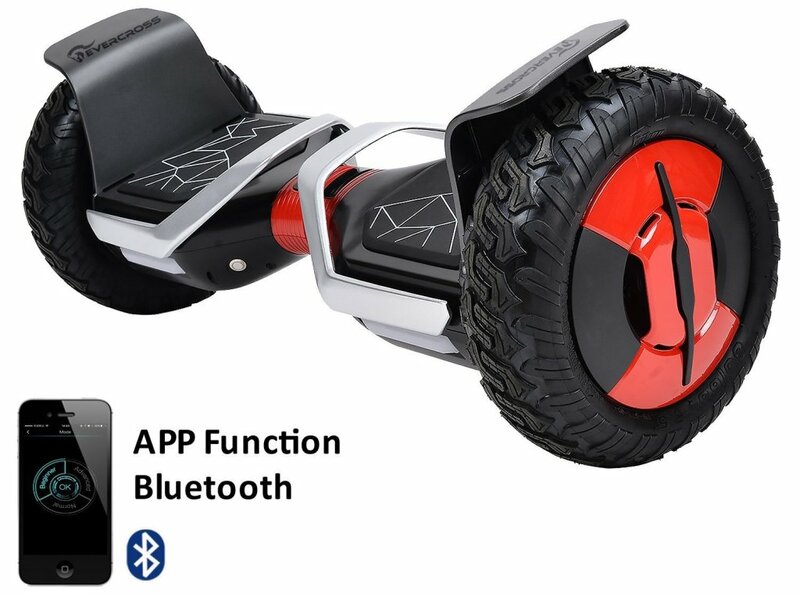 In fact, this Self Balancing Scooter features broadened and reinforced off-road tires with a high-quality tread pattern design that helps to improve on adhesion between tires and the ground thus enabling this Hoverboard to easily maneuver over different terrains with optimum stability while the intelligent Mobile-APP with Bluetooth music functions will help you to remotely control this scooter using your Smartphone and even listen to your favorite music while driving. 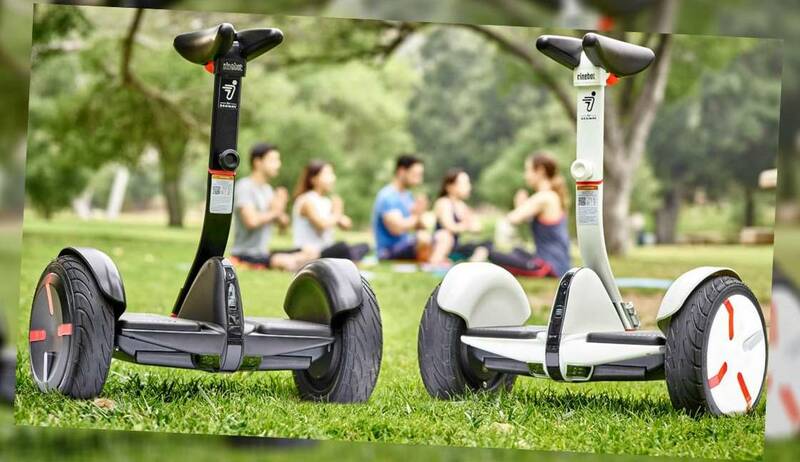 Lastly, this Self Balancing Scooter is equipped with a removable Samsung battery that is safe, secure and super-resistant and also each unit of this scooter is factory-tested before coming off the production-line. A 2-wheel Self Balancing Scooter/Hoverboard. It’s a UL-2272 Certified Hoverboard for safe-use. It can reach a Maximum-Speed of up to 12 KMPH. Features a Certified & Removable Samsung Battery. It undergoes 159-tests regarding safety regulations. It features all-terrain Broadened and reinforced tires. It can travel a max-distance of 17-km when fully-charged. It features a high-quality intelligent electronic balance control chip. Integrated Bluetooth-speaker for linking the scooter to your Smartphone. It features a 300W Dual-Motor system for optimum power & incline up-to 15°. 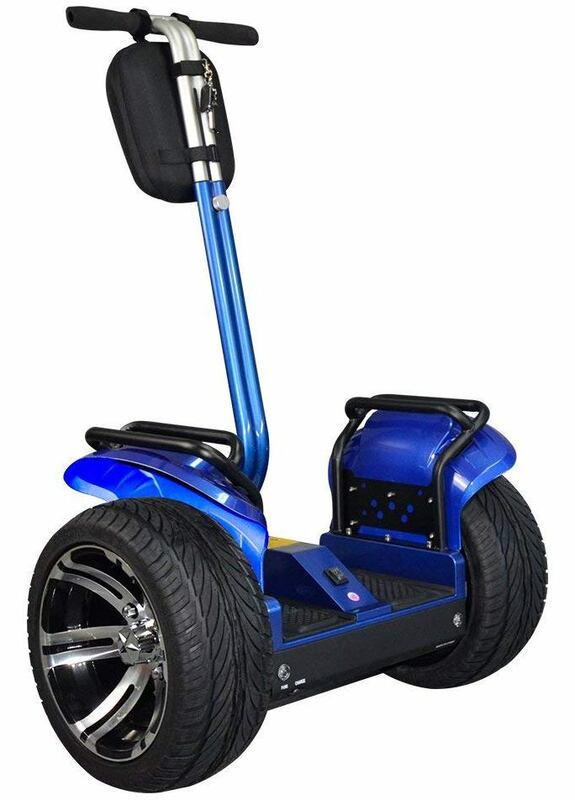 This is a Smart Self Balance Scooter and Personal Transporter equipped with 19 inch all-terrain tires that are designed to handle most surfaces for faster and easier maneuvering. In fact, this Personal Transporter will self-balance even without a rider and it has been equipped with LED headlights and tail-lights for added safety when riding on or off the road at night. On the other hand, this Off-Road Personal Transporter is equipped with a Samsung Certified 8.8AH Lithium Battery that is very powerful while the integrated handlebar bag with a molded plastic shell will help to store your personal items as you ride. 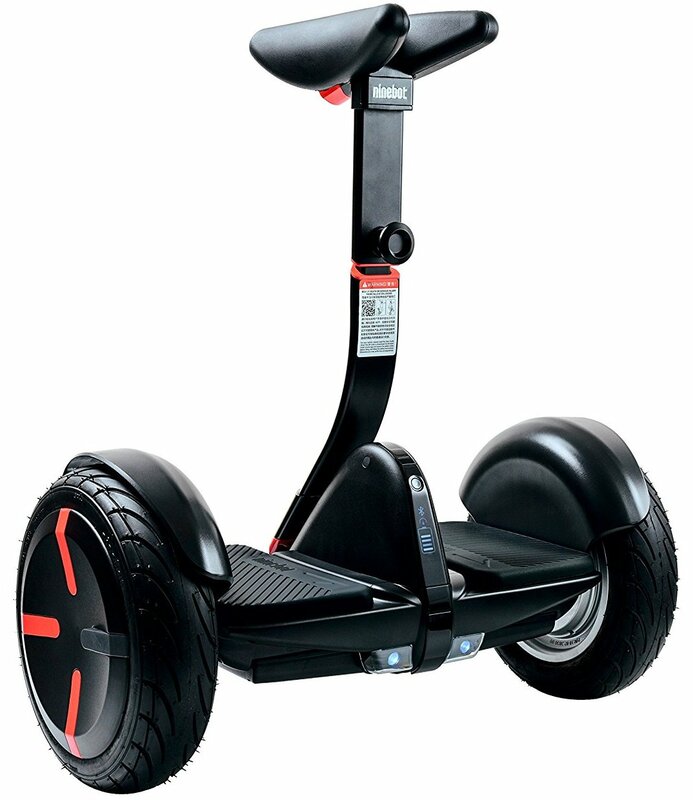 On top of that, this Smart Self Balance Scooter features a kickstand used to rest the unit when off or charging while the programmed key fobs add an extra layer of ease and security for your Personal Transporter. Likewise, this unit features a beginner mode that is great for starters and it can move at higher speeds while maintaining longer battery-life compared to other scooter-brands. All in all, this Smart Self Balance Scooter is designed for all levels of experience at any age. It’s a Smart Self Balance Scooter. It offers a maximum-distance of up-to 45km. It offers a maximum-speed of 20km per hour. It features a 72v Samsung Lithium Certified Battery. It features a kickstand for resting while off or charging. It’s designed to support a maximum weight-capacity of 330lbs. It features 19 inch all-terrain tires designed to handle most surfaces. It offers up-to 35-degrees of incline making it perfect for climbing hills. It’s equipped with a 1000Wx2 Brushed motor that offer optimum-power. In includes a front handlebar bag with molded plastic shell for easy storage. It equipped with LED headlights and tail lights for added safety on the road. 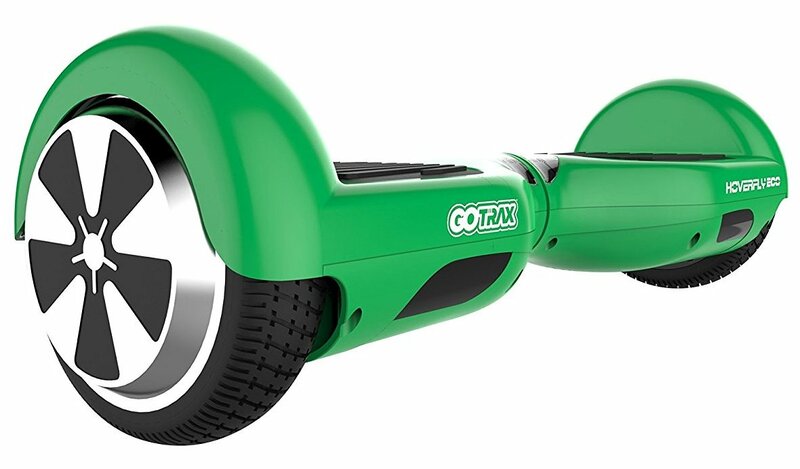 The GOTRAX Hoverfly ECO is a 2-wheel Self Balancing Hoverboard that is UL-2272 certified so that you can ride it without worry. 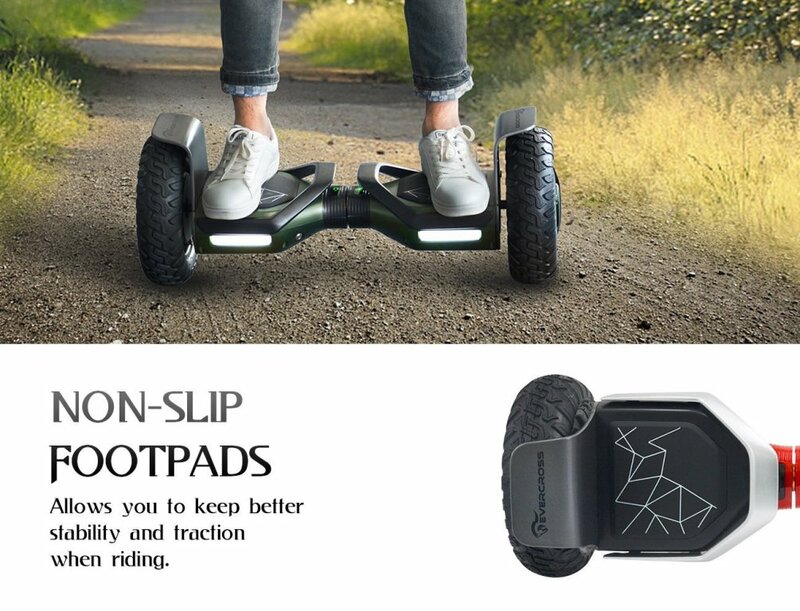 In fact, this self-balancing board boasts an impressive torque powered by dual 250-Watt force field motors and it can even reach a maximum-speed of 7.4-mph and also travel a maximum-distance of 12 miles using self-balancing gyroscopic hover skate board technology. On the other hand, this self balancing Hoverboard has a 0-degree turning radius coupled with non-slip foot pads for a more comfortable ride while the integrated bright LED lights provide illumination when traveling at night. Lastly, this Hoverboard is made of high-quality materials that can support a maximum user-weight of 220-lbs while the integrated battery-indicator lights-up when it’s time to return home for a recharge. It’s an Eco-friendly Self Balancing Hoverboard. Made of high-quality hover skate board materials. It moves for a maximum-distance of up-to 12 miles. Its UL-2272 tested and certified for optimum safety. It’s designed to support a maximum user-weight of 220-lbs. It features a 0-degree turning radius & non-slip foot pads. 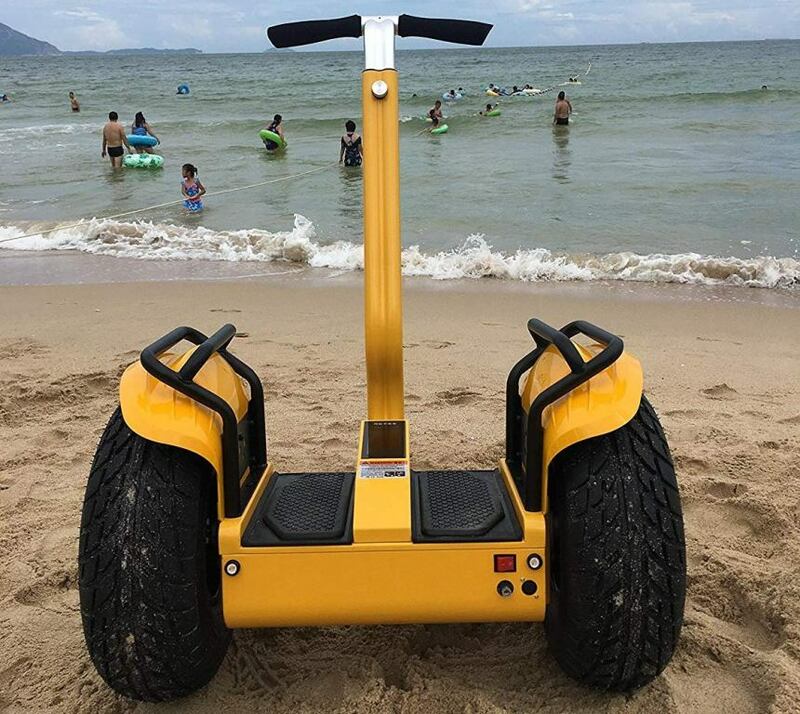 It uses self balancing gyroscopic hover skate board technology. It features lunar-bright LED lights used for illumination at night. Quick and easy Hoverboard learning with simple one-touch operation. It can offer speeds of up to 7.4 mph using its powerful dual 250W motors. A battery-indicator that lights-up when its time to return home for a recharge. 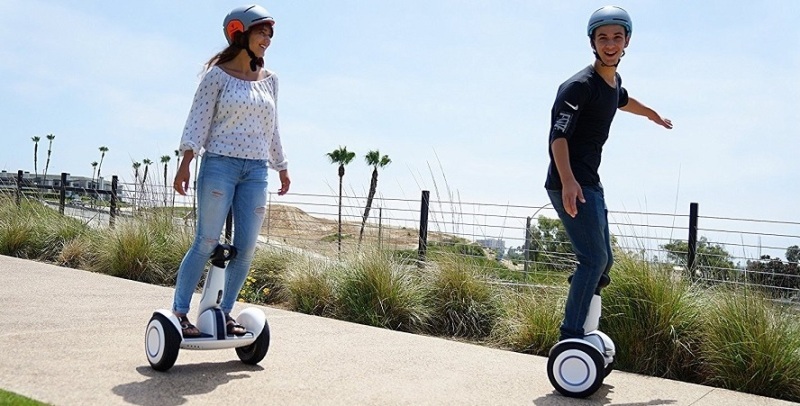 InMotion SCV V5F is a One Wheel Self Balancing Personal Transporter with Mobile App Control. This transporter has been tested a million times in-order to ensure optimum safety while it’s stretching Intelligent head/tail light will help to illuminate you at night. 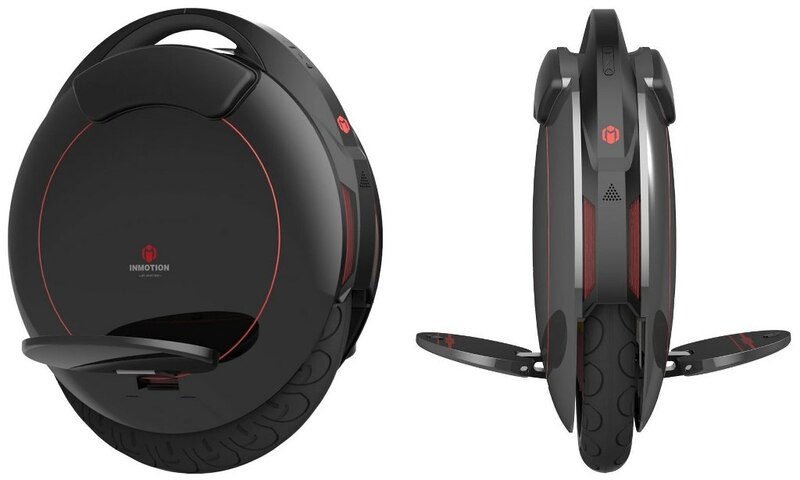 On top of that, this Self Balancing Personal Transporter will allow you to switch between lanes with the help of driving directions while its Bi-channel wireless Bluetooth Speaker by Texas Instruments provides Superb Acoustic sounds when riding. On the other hand, this transporter is equipped with touch-sensitive controls and even features a water-proof surface that ensures maximum durability. Additionally, it features an Extended Duration Automatic sliding-closure charge hub with a Plug and Play port. Likewise, this transporter features Leather Protective Pads with Anti-friction technology while its body is made of full-cover aluminum alloy materials. 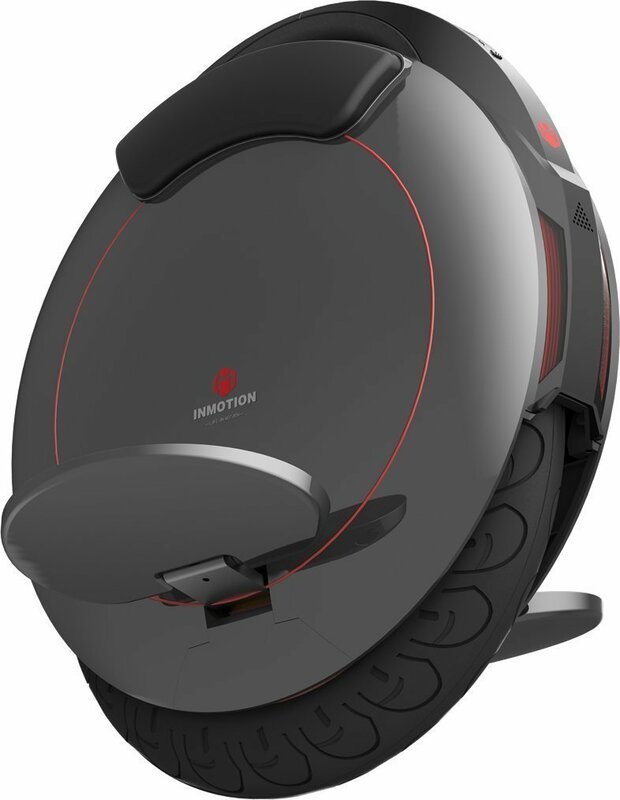 Lastly, this One Wheel Self Balancing Personal Transporter offers Anti-slip and Anti-crash Triple Protection coupled with excellent shock-absorption and a secure battery pack. A One Wheel Self Balancing Personal Transporter. It features a 14-inch durable & anti-skid wheel. It travels for maximum-distance of up to 30-km. Offers a maximum-speed of 25 kilometers-per-hour. It offers a climbing-angle of up-to 25-degrees. It can support a maximum user-weight of 120 kg. It features a stretching Intelligent head/tail light. Leather Protective Pads with Anti friction technology. Extended Duration Automatic sliding-closure charge hub. It features Mobile-App that facilitates for remote-control. Bi-channel wireless Bluetooth Speaker by Texas Instruments. It features an IP55 waterproof body for maximum durability. Excellent Shock Absorption for a stable and comfortable ride. Full protection Foot-board with Full-cover aluminum alloy materials. It features a 320Wh lithium battery with a charging-time of 1.5 hours. CONCLUSION: All the featured Smart Self Balancing Transporters will provide you with quick and easy movement to any nearby place within your area in 2019. In fact, all these personal-transporters are equipped with the latest technology in-order to ensure safe and comfortable riding whether you’re going for school, work, party, market or any other nearby place. Lastly, these Self Balancing Transporters are very convenient and will work perfectly for people who are fade-up of walking all the time.